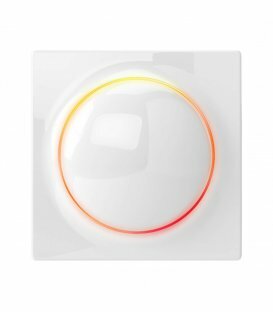 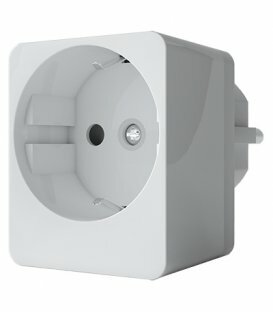 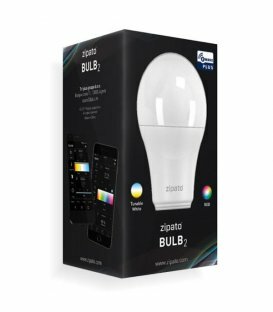 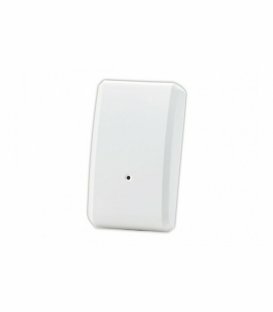 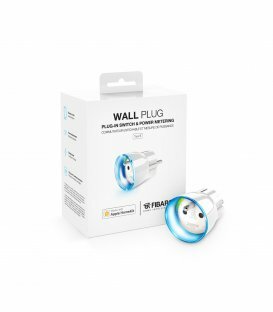 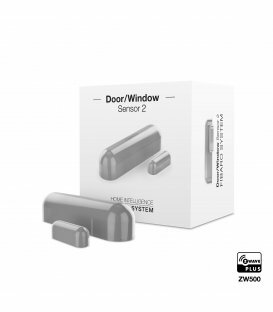 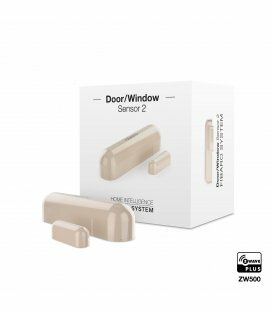 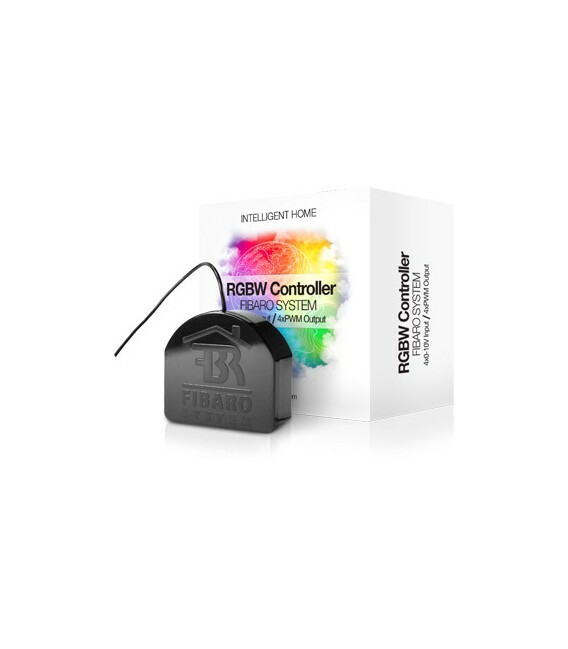 Fibaro Z-Wave RGBW controller is a unique multifunctional device that controls low-voltage LED/RGB/RGBW lights and halogen lamps (12/24V), with dimming functionality and power metering for LED lights, and allows to connect up to 4 analogue sensors. 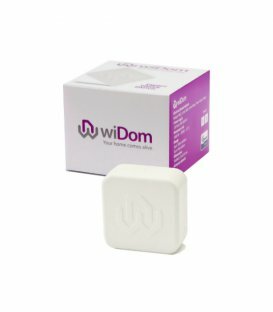 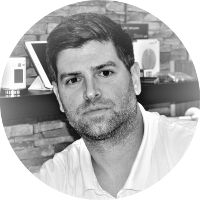 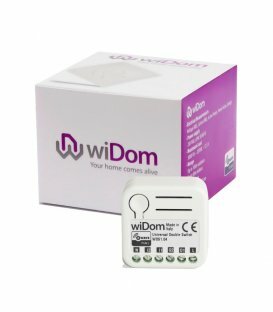 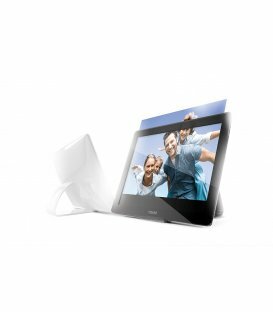 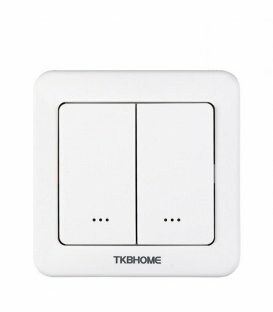 Naturally, the controller allows local control through conventional wall switches, as well as remote control over the Internet from any tablet or mobile phone. 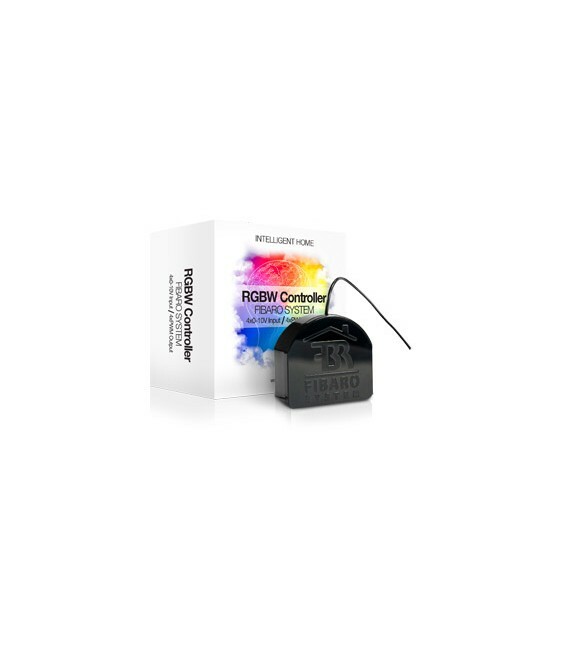 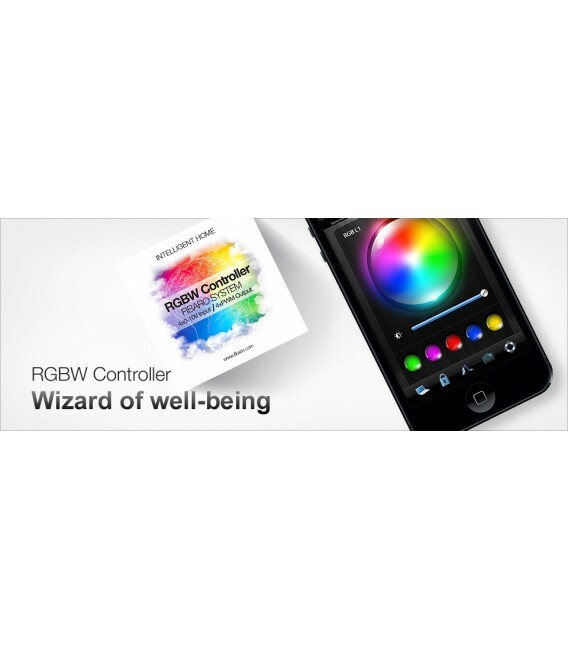 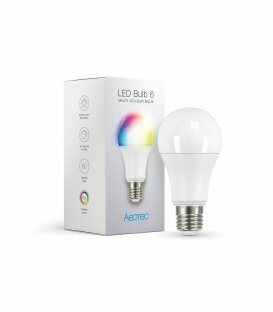 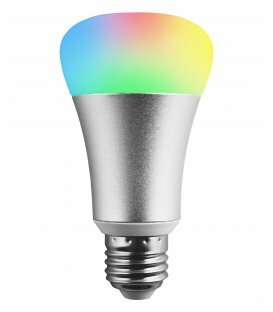 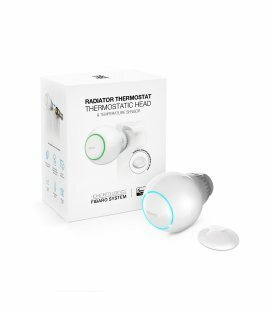 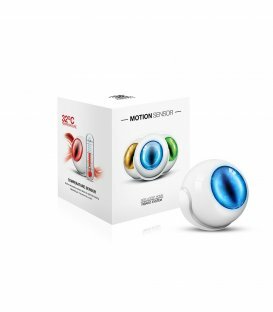 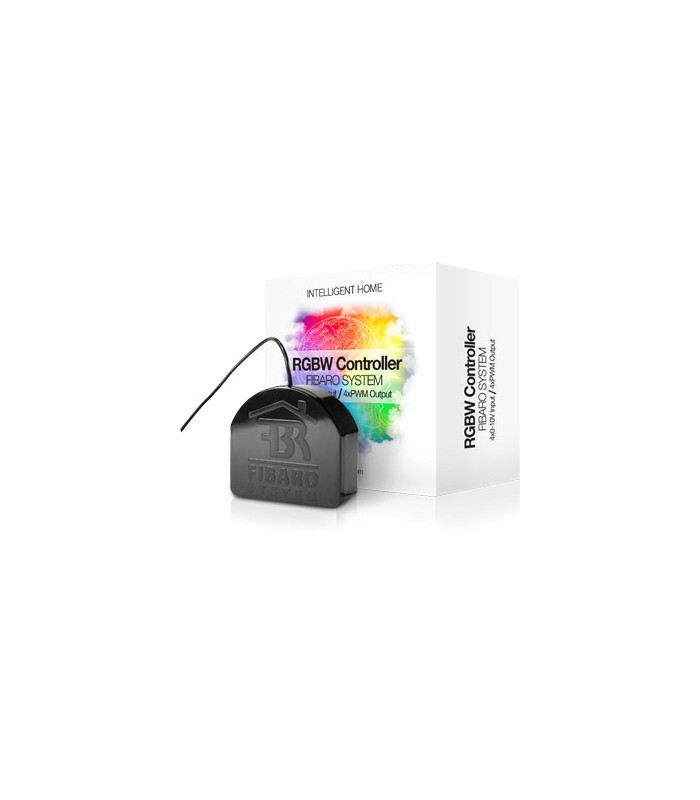 The Fibaro RGBW controller lets you control your LED lights to produce a variety of colours depending on your mood, or input from analogue sensors, such as temperature, humidity or atmospheric pressure sensors. 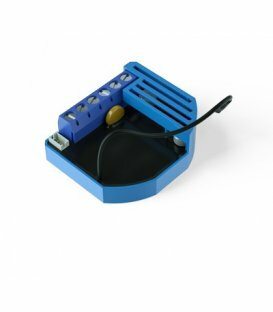 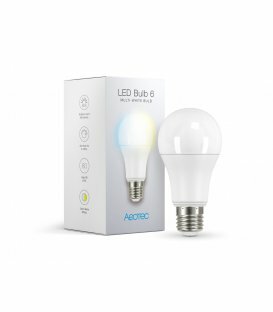 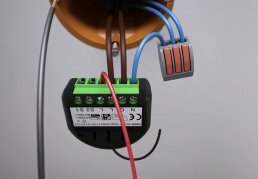 The module can control up to 4 independent LED strips or lights, so adjusting the lighting in your home or office to your desired colour composition. 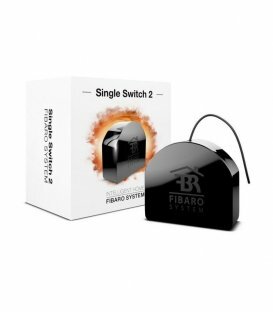 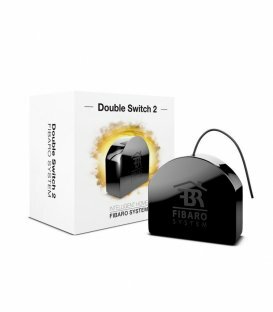 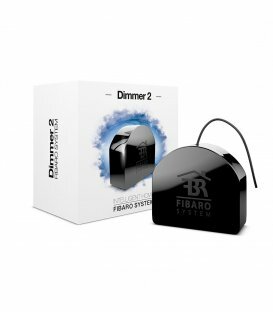 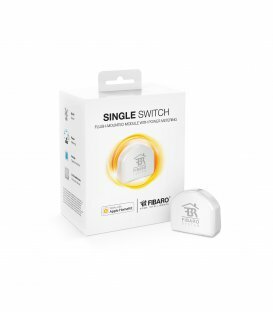 The Fibaro RGBW controller can dim up to 4 independent low-voltage 12/24V LED lights without needing to modify the attached power supplies. 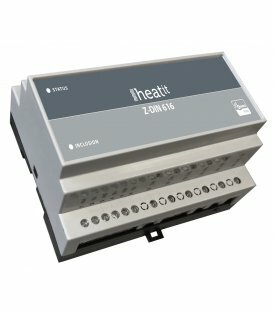 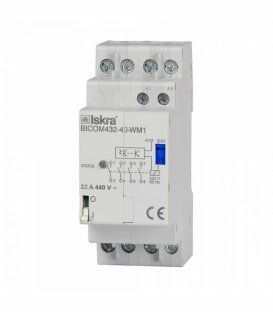 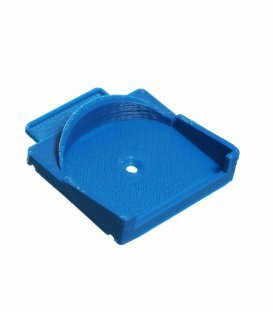 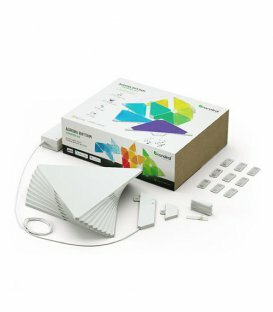 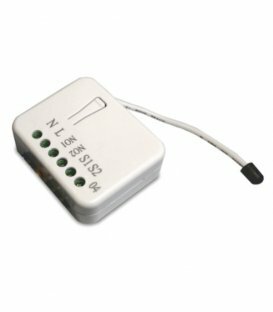 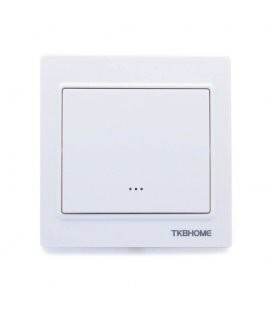 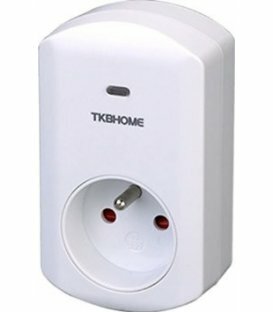 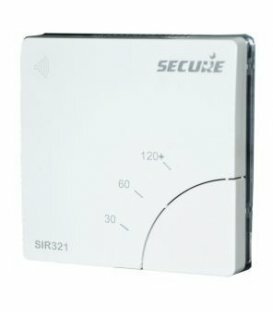 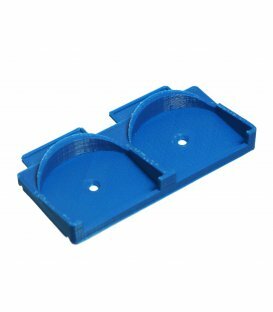 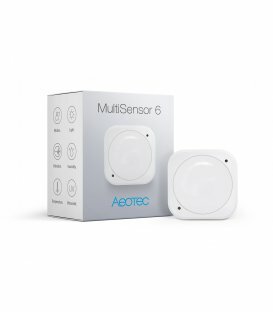 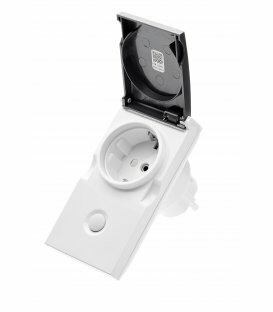 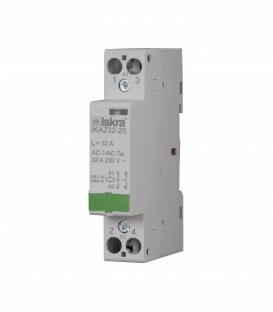 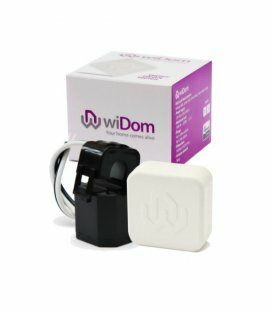 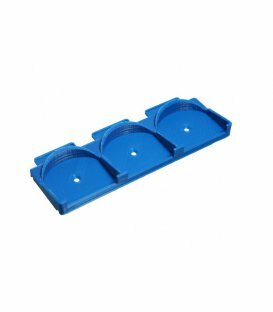 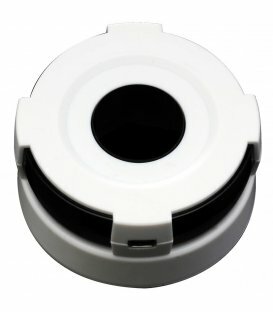 Up to 4 analogue sensors can be connected to this universal Z-Wave module to control LED/RGB/RGBW lighting based on the input from these sensors. 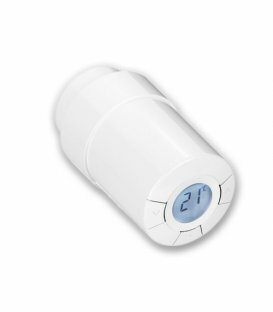 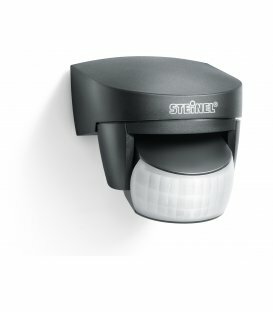 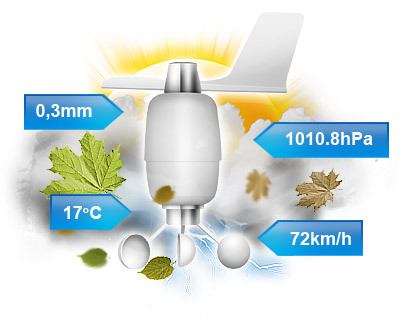 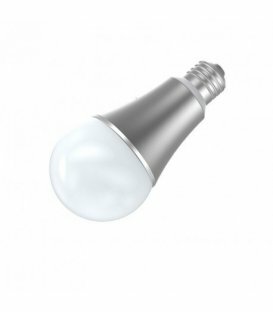 It can also read values from sensors such as temperature, humidity, illuminance (LUX), wind speed, precipitation level and similar. 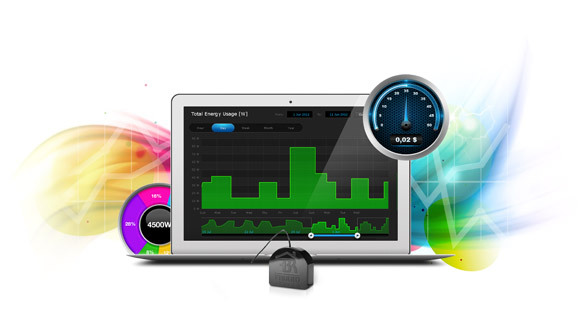 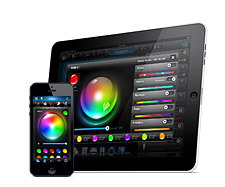 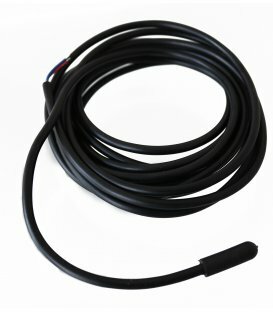 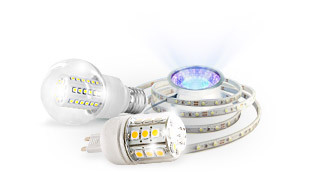 Another useful feature is the measurement of power consumption of LED lights and LED strips. 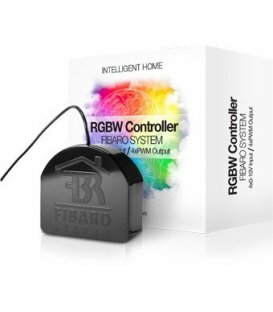 The Fibaro RGBW controller allows you to independently measure the power consumption of up to four connected LED light strips. 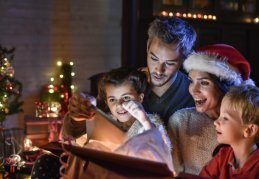 Get inspired and simplify some of your activities related to Christmas using the Z-Wave automatization system.